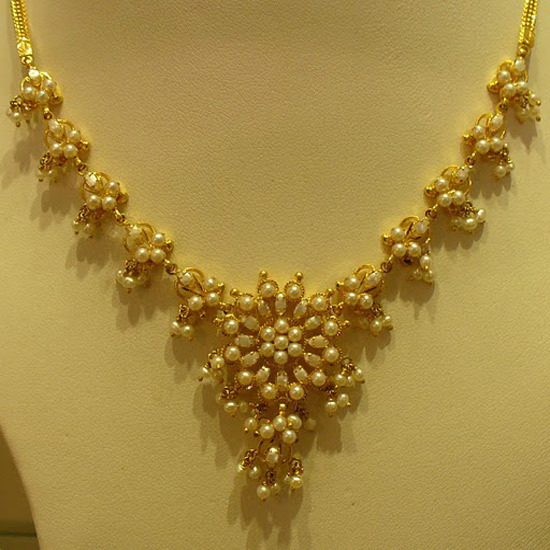 Pearl is one of the most beautiful ornaments, and when combined with gold it looks more beautiful and elegant asset of a woman! 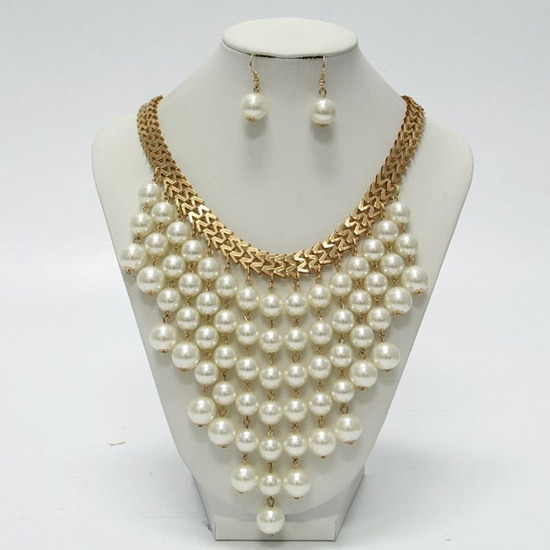 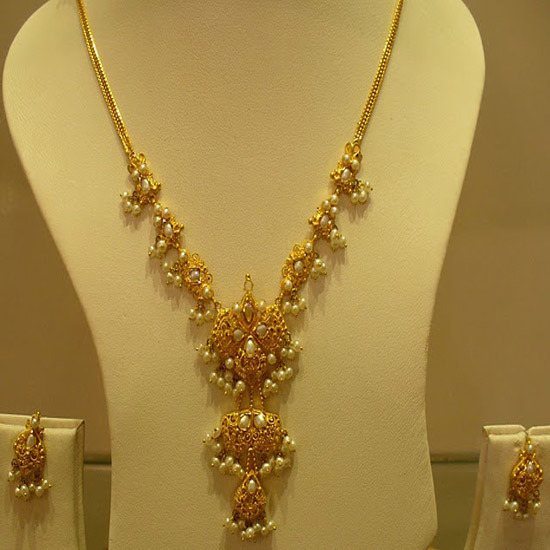 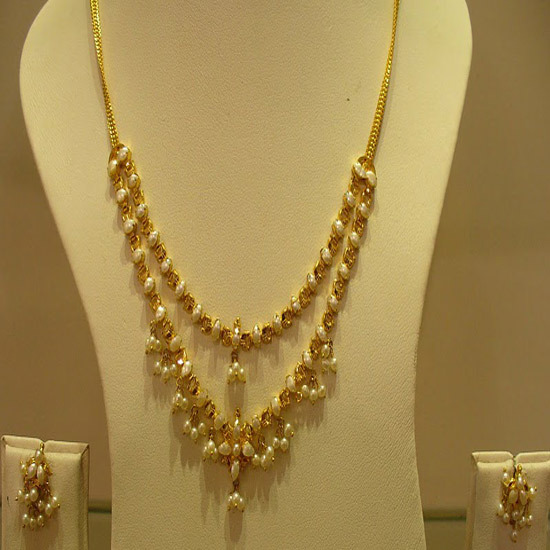 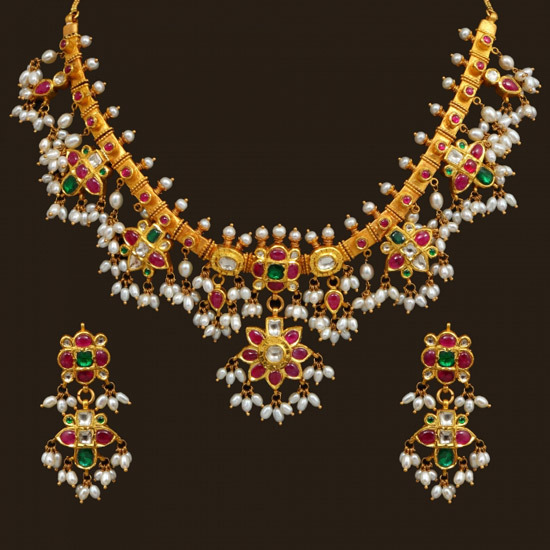 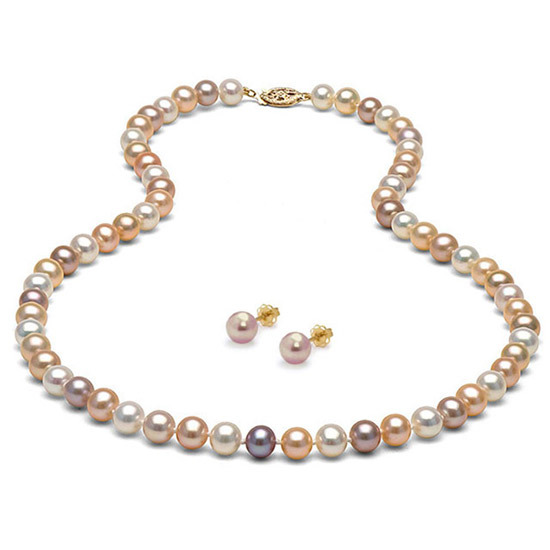 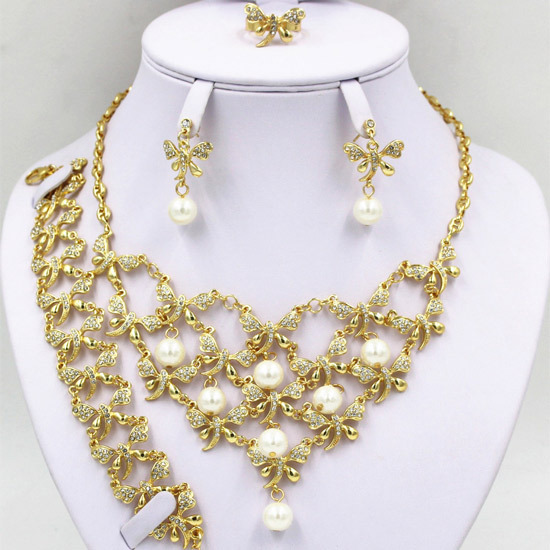 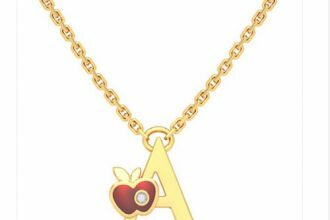 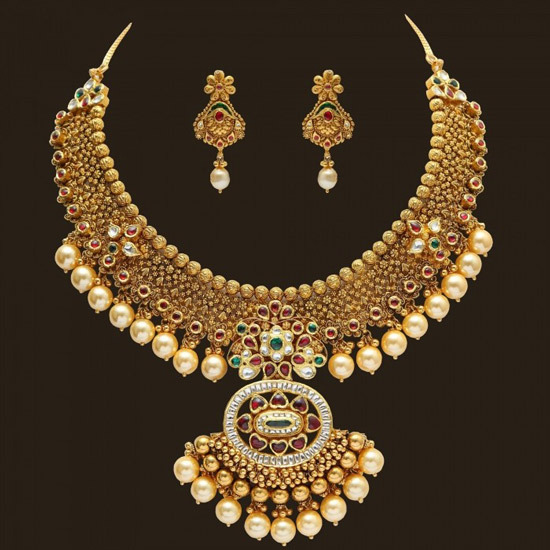 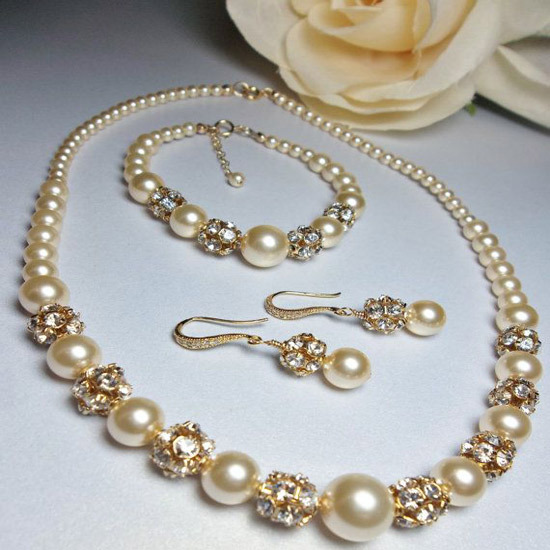 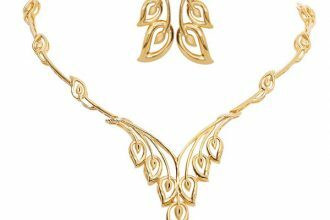 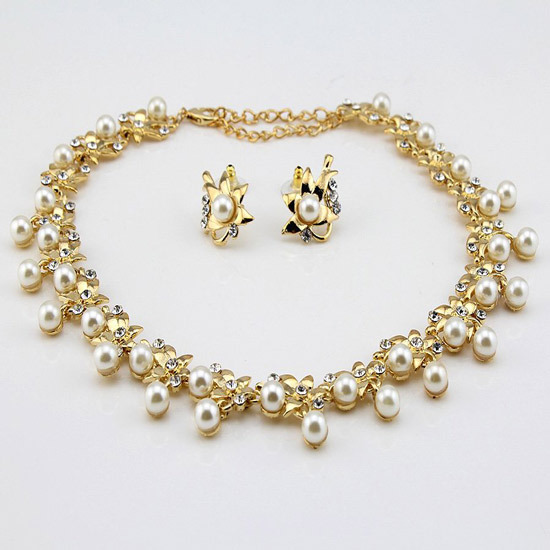 Look for different designs in gold pearl necklace sets. 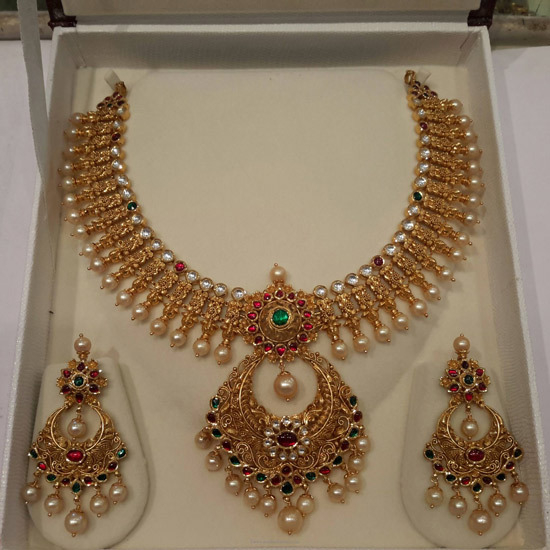 Check out simple pearl necklace joined together by gold string, antique pearl necklace with pendant, multi line pearl choker necklace set, latest pearl necklace set, pearl beads with alternating gold beads necklace, simple double line pearls necklace set and more designs here.